How effective is Fair Trade? When many of us think about improving conditions in the developing world, Fair Trade may be one of the first things to come to mind. But how effective is Fair Trade? Is paying a premium to slightly increase some farmers’ income the best way to tackle poverty? Could our income be spent elsewhere more effectively? What does all of this mean for the sort of society we live in? Buying products with a Fair Trade label gives everyday shoppers influence over the ethics of big corporations. In a globalised world, all of our actions – whether it is the car we drive (or don’t drive), the supermarket we shop at or where we bank – have far reaching consequences. In a world full of problems that can seem overwhelming, and where issues of poverty can seem hopeless, being able to make a difference every time you shop is a hugely appealing idea. But what if our contribution could be larger? What if our voice could be louder? If Fair Trade is not as effective as other interventions in reducing poverty, then maybe we need to switch our allegiances. So what are some of the problems with Fair Trade? Many economists argue that far from helping lift farmers out of poverty Fairtrade traps them in dependence on struggling industries and charity from the West. They argue that low prices are due to overproduction, and that providing an inflated price only encourages even greater overproduction rather than diversification into better products. For example, if more people produce coffee then the price goes down. The Fair Trade coffee producers keep a steady, but still very low, price and the non Fairtrade producers just get poorer. But Fair Trade is moving to address some of its critics. Plantations can now also seek Fairtrade status if they allow workers unions to seek better conditions for themselves meaning more people stand standard chance of being helped. But can this really be shown to be improving its efficacy? Who does Fair Trade help? Only a handful of areas where there are Fair Trade farmers are in the top ten poorest countries in the world. This is by no means to say that Fairtrade farmers are not poor, especially by the standards of our own country, nor that they do need help. But how can we provide the most help? Where can we do the most good with our too scarce resources? If reducing poverty is truly the aim, do we not need to start with the very poorest? No matter who we help, is improving wages by a few pence really enough? With a small premium being paid on top of an already struggling product very little extra money makes its way to the poor. Very little evidence can be produced of any long term improvement in the conditions for Fair Trade farmers let alone their non Fair Trade counterparts. When the price of Fair Trade items in the shop can be much higher (a bunch of six Tesco Fair Trade bananas were 65p more than their non Fair Trade equivalent when I checked online today) is Fair Trade actually failing to make the most of shoppers’ altruism? To receive the Fair Trade certification the price is guaranteed by the buyer. It is not, as some people may assume, a percentage of the final sale profits that the farmer receives. This is one criticism levelled at Fair Trade; it does more to increase big company profits than help the farmers. Big companies cash in on consumer altruism to make bigger profits on Fair Trade goods. The Fair Trade Foundation counters that Fair Trade is not about giving farmers a percentage of profits but about ensuring that they get paid enough to cover the cost of their labour and allow them to invest in improvements. The Fair Trade Foundation cannot control the efficiency of a company’s production process nor the efficacy of their marketing. Yet these things will influence the companies profits. Would we really want that volatility passed on to farmers? But this critique and defence misses a wider point. If Fair Trade products are more expensive than non Fair Trade products what else could we, the consumers, be doing with the money we save from buying the cheaper option? Say that in a weekly shop you, as I do, buy a bunch of bananas, some coffee and some dark chocolate. Amongst these items alone the difference between the cheapest non Fairtrade and Fairtrade brand collectively is about £2. £2 donated to the Schistosomiasis Control Initiative could deliver treatment of neglected tropical diseases of 4 people for a year. £2 donated to the Against Malaria Foundation would pay for a malaria net, one of the most effective ways of preventing the spread of malaria. Or why not donate that £2 directly to someone through Give Directly? That way you know that the right person received the the majority of your donation and you empower them to transform their own lives. Despite the failings of Fairtrade let’s not forget like so many charities it is trying to do something good in the world. The point of reviewing Fair Trade should not be simply to point out all of it’s flaws but to say we all want to do good, how can we do it better? If our aims are altruistic then good intentions are just the beginning, we need to push for the best outcomes as well. And there are better outcomes to be achieved through methods other than Fair Trade. But are even our good intentions wavering? For the first time since its conception Fair Trade consumption is falling. Recent moves in the retail market away from supermarkets such as Sainsbury’s and The Cooperative (both of which have changed their own brand bananas, coffee, tea and chocolate to Fair Trade versions) to the cheaper chains like Aldi and Lidl have hit Fair Trade’s sales. In 2014 for the first time in their history Fair Trade sales fell by 4%. This compares to what is usually double digit growth for the label. Having spent this article critiquing Fair Trade, why does this matter? If savy altruistic shoppers are saving their pennies and donating it to effective charities then the decline in Fair Trade can only be a good thing. However, if a struggling economy is turning people’s focus inward to their own concerns and away from thinking about others in worse circumstances, this is a reason for concern. If critiquing Fairtrade only leads to apathy is this truly an improvement? 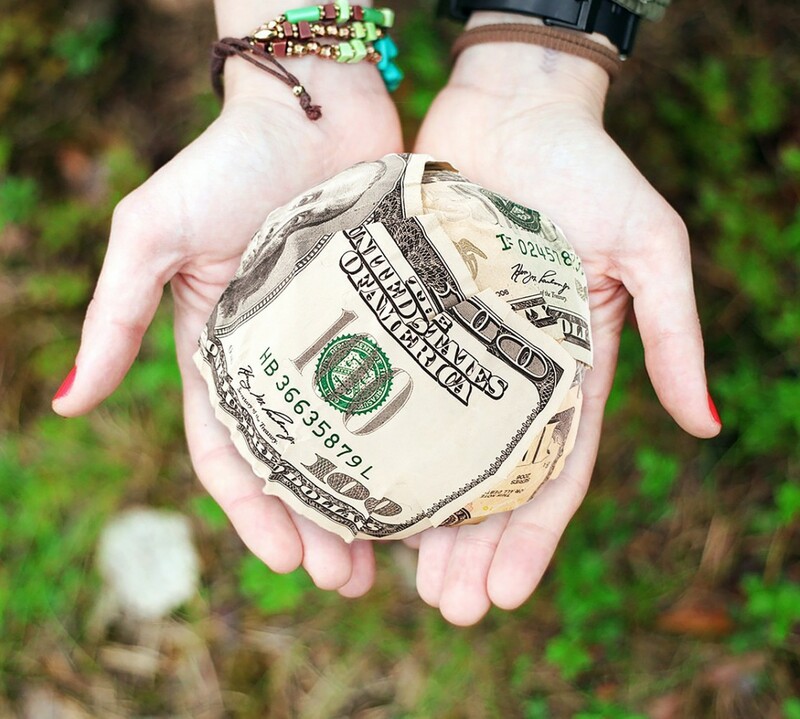 There are two things that effective altruism has to tackle. Convincing people to give in the first place and convincing them to give more effectively. Fair Trade may not be an effective intervention but it does keep poverty in people’s minds. It is an improvement on not caring at all. Many of the articles cited criticise Fair Trade but they do not provide an altruistic alternative. Let’s promote the effective alternatives not apathy. Only through reviewing these options can we find out what truly works. Yes there are problems with Fair Trade but that doesn’t mean tackling poverty is hopeless. Just look at some of the amazing work done by Giving What We Can’s top charities. Let’s not just criticise, let’s continue to act, and act more effectively.